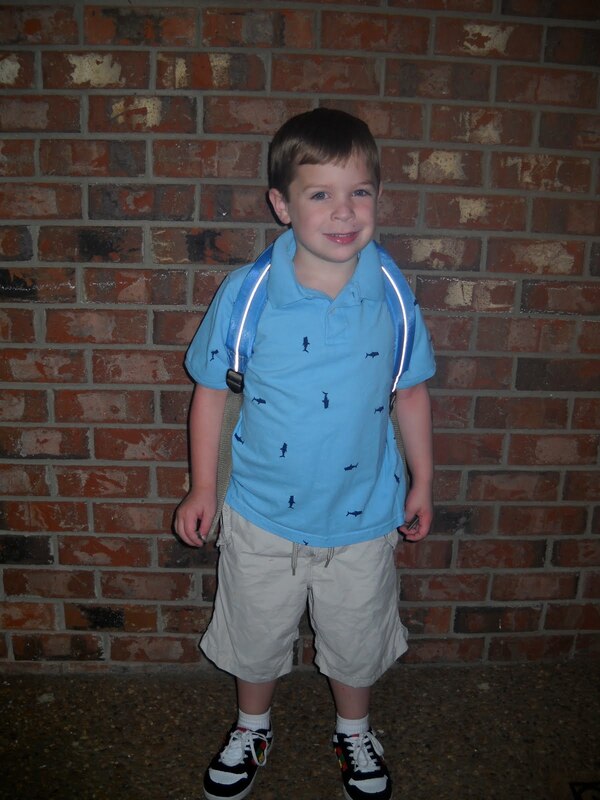 The Real Housewife of Bedford County: Henry's First Day of Kindergarten! 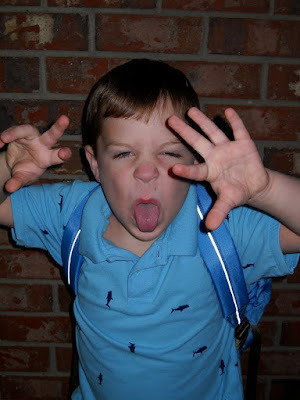 Henry started Kindergarten this week. HOW IS THAT POSSIBLE?! My sweet little thing is five years old already, reading, and riding a school bus. It sounds so cliche, but time goes by so fast with them. 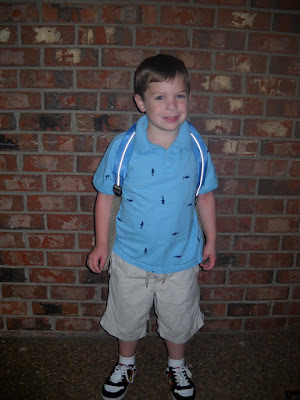 He was so excited for his first day of school. When I asked him if he was nervous he replied, "Heck no. I've been waiting for this day all summer." He has the most amazing teacher, Mrs. C. We didn't technically *request* her, but I made it be known to everyone who matters (including her) that we wanted her. I'm thrilled that he's got her, and he loves, loves, loves her. He's got three friends from his pre-k class, one from his old preschool, and two friends he made last year who were not in his class. As he said, he has "all his ladies" in his class. I think he'll be the class Casanova. He had two half days, then one full day this week. And he was tired! He and David are in the same hallway, and I'm sure will see each other pretty frequently. They're also riding the bus home together, along with David's friend S. Apparently they all three sat in the same seat on Friday and S. kissed them both. Does anyone else see the potential for this to be a big problem later on?! I can't believe how big they are all getting!